The vast majority of marine aquaria, are fish-only, lacking algae, "live-rock", and invertebrates of any kind. The popularity of these simplest salt set-ups is easy to understand. The keeping of coral reef fishes is what principally drives aquarists to try out the marine hobby in the first place; and switching from freshwater to a fish-only system is a relatively easy transition for an intermediate/advanced hobbyist. With only fishes in a system, the worries and concurrent expense of maintaining optimum water quality is greatly diminished; non-fish livestock as a rule are far less forgiving than fishes. Specialized, enhanced lighting is not a concern and a minimum of biological and mechanical filtration may be employed. Further, should there be a need to manipulate the environment in ways that would be toxic to non-fish life, lowering specific gravity, treating with medications, the main/only system might be called upon to serve double duty as a treatment tank. There is nothing wrong with fishes-only systems. The diversity of fishes for these set-ups is enormous; most species available get along just fine with non-living decor. Live corals, anemones, algae, etc. do add a great deal of beauty and potential functionality to a system, but they do have downsides. The likelihood of over-stocking, metabolite pollution, and wipe-out is increasingly greater with the addition of more types and amount of life. For a minimum of maintenance, cost, and losses, new marine hobbyists are encouraged to "cut their teeth" first on a fish-only arrangement before possibly trying other "more-challenging" additions of non-fish life. 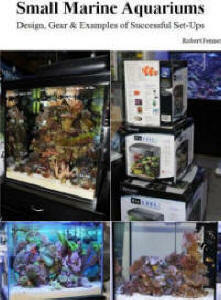 For your first marine system, fish-tank only; let's give pause and digress a bit about "what do you really want to do"? If you haven't given much thought to what you're up to with having a salt system, now's the time. The stocking and maintaining of a marine tank is far more involved than simply buying the organisms at the dealer's that appeal to you. Consideration must at least be given to the issues of compatibility amongst proposed tankmates, their growth and size, and feeding types. Do you have a "must have" fish in mind for your system? Good, you can build your livestock collection around that choice. Instead, is your significant other adamant about having "some" that are red, yellow and blue? Whatever your strength of conviction in what you're looking for, there is a tried and true approach to picking out fishes for your system. First, make a list. A pie-in-the-sky wish list of what you'd really like if cost, compatibility, ultimate size, etc. were not limiting. Now comes the next most fun part; gathering information regarding these species. Go to your dealer with the list, call up that knucklehead fellow-hobbyist who got you interested in marines, open the books on your, the tropical fish society's, and large library's shelves. You want to know, well, about most everything there is to know concerning your growing roster of potential acquisitions. Are they tough? What sort of environmental conditions do they favor? How big, how fast? Do they do best singly, in pairs, trios? What do they eat, your other list-members? Are they even available? In the last thirty years I've seen a good part of the marine interest shift in emphasis from "enjoyment", "appreciation" of aquatic life keeping to "pleasure from kinetic art". This is a disturbing trend to me. Don't be too busy to study up before buying your livestock, and cheat yourself out of the fuller understanding of what your organisms are. Once you know what is going to go into the system, it's purchased, acclimated and placed into the tank in the following systematic way. One species at a time, with a good two weeks in-between introductions, sparsely fed at first, with water testing for signs of metabolite bottle-necking. One type at a time? This provides a minimum of assurance that the existing and new specimens will "get along", reduces the incidence and spread of disease, and prevents overwhelming your biological filtration bacteria populations. A couple of weeks is likely adequate time for "settling in", re-distribution of territorial partitioning and allows for increase in bio-filter microbe communities. What if you experience "too much, too soon" anyway? Should you register a spike in ammonia, nitrite concentrations or "behavioral anomaly" there are definite things you should and should not do. Do not feed the system any more food. If ammonia or nitrite get to dangerous levels still, you'll have to execute a massive water change, move a good part/all the livestock, or resort to taking your chances with chemical filtrants. No chemical problems but still "wacky" behavior? Turn the TV off and watch your tank closely for an hour. Your fishes are most likely not "sick" in the way of biological disease; they are probably "out-of-balance" territorially. Fishes in captivity, the same as in the wild live in communities; there are very definite pecking orders, "resource partitioning", winners-losers-those who are ignored in any number of potential and actual interactions. By the confines of properly conditioning a system to more and new livestock, you are compelled to go slow and steady; but by the same actions you're compelling the livestock to "re-balance" their social community. A few generalizations as to what further helps the situation. More decor; to the extent that you can't find your fishes or they have no swimming room left, you should provide caves, nooks, crannies, hiding spaces aplenty. Regularity in feeding, maintenance and lighting routines is crucial. This arena is not very often written about, but "environmental cues" are extremely important in the lives of coral reef organisms. Disrupting time frames is a tremendous stressor which greatly exacerbates undesirable behaviors. Feed them, use a timer on their lighting, etc. in systematic, predictable manners; they can tell the difference. Disrupt their physical environment, rock, coral and shell skeletons... when adding new individuals. This may seem antithetical to what's stated above, because it is! You want to "upset the status quo" in the tank in order to disorient the existing community/territorial dynamics; giving the newbies a chance to settle in with the new milieu. Density. No matter what you do, there's still World War Three going on in your system? Guess what? Your tank's over-crowded! Doesn't matter that your filtration can accommodate ten more fishes fed a can/package of food a day; you're past your behavioral maximum. Time to take something out, get a new or bigger system, or fire over the barbeque. How do you stand on the issue of the necessity of foam fractionators/protein skimming? My opinion: this is crucial component in marine aquarium keeping is a must for all salt systems, even the most basic fish-only tank. When do you start yours up? After there is no test-kit measurable change in ammonia or nitrite from adding new livestock. The skimmer is such a powerful tool at removing metabolites, that running it before this time will do more to hamper or postpone the establishment of nutrient cycling than good. Does this sound reasonable to you? Definitely you should get and use a skimmer; the cost in water, quality, and livestock vitality is made up in short order. Just wait to turn it on until it's time. 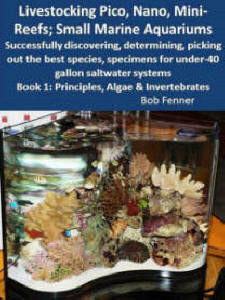 Fish-only systems are ninety-some percent of the total of all marine aquarium keeping, and rightly so. They are the easiest, most economical type with the least maintenance and chance for disaster. 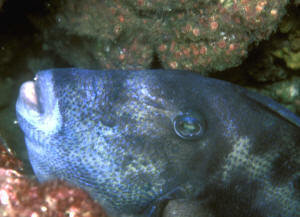 Many freshwater hobbyists cross-over into the marine realm by switching little more than gravel and acquiring salt mix. The success of maintaining saltwater livestock is a function of planning and careful, timely introduction of fishes with an eye on balancing the animals' community and their biological filtration. Blasiola, George C. 1986. 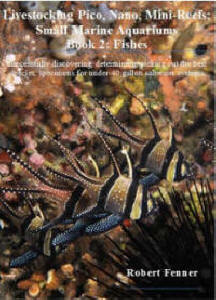 Marine fish compatibility. FAMA 8/86. McNamee, Mike. 1991. From freshwater to saltwater. FAMA 8/91. Volkart, Bill. 1989. Taking the plunge. FAMA 1/89.